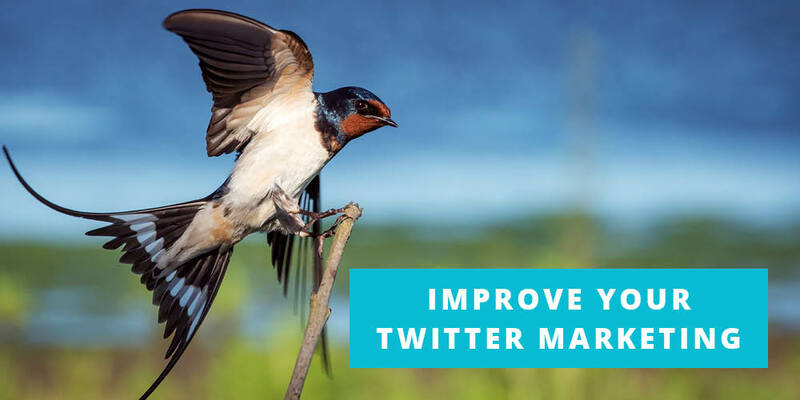 IF you’re reading this, you probably already have an idea of the benefits of Twitter marketing. But unfortunately, the platform can be a little confusing for new members. It might take days just to figure out how basic elements like direct tweets and retweets work. To become a true Twitter master requires even more of an investment. We want you to cut down your learning curve and get off to a strong start. That’s why we’ve compiled these tips that you can apply right out of the gate. Okay, so you’ve filled out your profile. But is it really as good as it can be? Don’t underestimate how important a fully completed profile can be. A good-looking photo can get people’s attention. A full, well-written bio can let them know exactly what you’re about, and inspire them to follow. And adding a location can help you connect with users in your area. This stuff doesn’t take long, so don’t skimp on it. It can be a quick but valuable boost to your visibility. The average Twitter timeline moves pretty fast. At peak hours, your tweet could be pushed off the front page within seconds of being posted. Of course, the times when the site is the busiest are also some of the best opportunities for getting eyeballs on your tweets. It’s a bit of a catch-22. Your personal Twitter may be a great place to update people on what you had for lunch or to post pics of your dog. But if you want to build a real following around your business or brand, you’re going to have to share something with a little more value. A good way to shift your mindset is to think of every post from the perspective of what your followers care about, rather than what you care about. What can you share that they’ll find useful or just love? If you’re Leonardo DiCaprio or the head of Microsoft, you’re probably getting bombarded with mentions, messages, and other activity. But for those of us just getting started, notifications will trickle in at a much more manageable pace. This is good, since your goal is to respond to every. single. one. Sending thoughts off into the ether isn’t the way to build a large and loyal Twitter following from scratch. Get down in the trenches and engage with people. Join discussions, answer questions, retweet things, and get in on trending or popular hashtags. This will get your tweets in front of more people and show them that you’re someone interesting enough to follow. They may even return the favor and engage you back. What if we told you that you could double your Twitter engagement by just adding a few extra words to each post? Well, you can. Those words are called “hashtags”, and you’re probably pretty familiar with them by now. But even though most of us know what hashtags are, that doesn’t mean we necessarily understand them. On Twitter, hashtags essentially categorize tweets and help group them together. If a user wants to find out more about something — “social media marketing”, for example – they can type it into their search bar and Twitter will give them a list of relevant tweets, including any that used similar hashtags. This really helps you reach out beyond your immediate network of followers and connect with a larger pool of users. But don’t get too carried away. Research shows that adding one to two hashtags gives a big boost to engagement. But three, four, or more hashtags actually causes engagement to go down. The first group you should seek out and follow are the users relevant to your area of business. This includes other businesses in your industry, the writers that cover it, and any other authorities within your niche. These are often called “influencers”. The benefits here are twofold. You’ll be able to stay up-to-date with the ups, downs, and trends of your industry. It’ll also help you attract followers of your own, since you’ll start being suggested to the other people in that network. One mistake Twitter users make is trying to limit the number of people they follow. They see major brands and celebrities who only follow a handful of accounts yet have thousands or millions of followers. Don’t get caught in this trap – especially when you’re just starting out. The more people you follow, the bigger your network becomes, and the better chance you have of attracting followers of your own. When you’re following so many people, it can be hard to wade through thousands of tweets to find the information that’s most relevant. You’d be on Twitter all day if you tried to read everything in your timeline. Fortunately, Twitter makes it easy to organize the people you follow into lists. You can create as many as you want, on any and everything that interests you. Maybe you have a list for other brands in your niche, one for direct competitors, one for fans, and even one for your favorite sports team. You’ll be able to go through tweets more quickly by cycling between lists and seeing only what you’re interested in. Once you learn to speak the language of Twitter, it can be such a powerful tool for your business. By following these steps, you’ll be well on your way. The rest is up to you. Here’s to your first thousands followers!